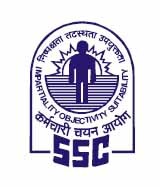 SSC CHSL answer keys: The tentative answer keys for the Combined Higher Secondary Level (10+2) examination was released by the Staff Selection Commission (SSC) on April 20, at the official website ssc.nic.in and candidates were asked to submit representations, if any, by April 23. But according to a new notification issued by the Commission, the last date for submitting challenges has been extended to April 26. The decision was taken after it was reported by candidates that they are facing problems in uploading their challenges on account of some technical problem in the website. Therefore, in order to facilitate them, the Commission has decided to extend the last date for submission of representations. The exam was conducted from March 4 to 26 in computer-based mode. Those who have cleared the tier 1 examination will now have to appear for the tier 2 examination, which is scheduled to be held on July 8, 2018. The examination was conducted for recruitment to the posts of lower division clerk (LDC), junior secretariat assistant, postal assistant, sorting assistant, data entry operator.